(Newser) – Big-box retailer Circuit City went belly up in 2009 thanks largely to the encroach of Amazon. 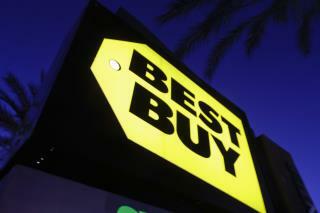 The widespread expectation was that rival Best Buy would soon follow. But it's now about a decade later, and, surprise, surprise, the chain is actually "thriving in the age of Amazon," as a story by Susan Berfield and Matthew Boyle at Bloomberg explains. It gives much of the credit to various strategies of CEO Hubert Joly, including turning Best Buy stores (there's now more than 1,000 in North America, with 125,000 employees) into "showcases" for companies such as Apple and Microsoft. Joly, in place since 2012, also likes to say, "You won't get me to say a bad word about Amazon," maintaining that "there is a lot of room for both of us." In fact, the story highlights a new strategy that takes advantage of Best Buy's physical presence around the US, an advantage it has over the online giant. Smart CEO! There's always an advantage to have retail store presence, which Amazon lacks. I'm not a person that takes high pressure selling very well. Come on too strong and I'm out the door - even if the store has what I want at the best price - and I let the manager know why I didn't buy there.